Forestry News | Welcome to Summitt Forests Inc.
Click here for the latest news stories from the forests of the Pacific Northwest and beyond. The Douglas Complex of wildfires in southwestern Oregon has been declared contained, although smoke is expected to keep rising until fall rain finally extinguishes the smoldering remains. The Douglas Complex was one of several large fires touched off by lightning on July 26. Fire managers Tuesday night declared it 100 percent contained after growing to more than 76 square miles — about 48,700 acres. Another of that July crop of fires, the Big Windy Complex to the southwest, is now considered 87 percent contained at about half that size. 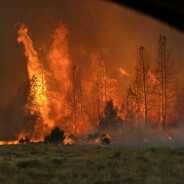 • The Government Flats complex near The Dalles, considered 90 percent contained at nearly 18 square miles. 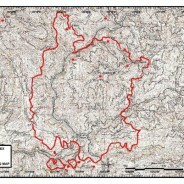 • The Vinegar fire northeast of John Day, considered 45 percent contained at about 2 square miles. 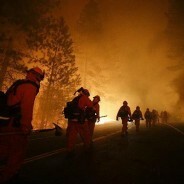 YOSEMITE NATIONAL PARK, Calif. — There was no evidence of an illegal marijuana grow near the spot where a raging wildfire started near Yosemite National Park, a federal forestry official said Wednesday. Investigators have ruled out the illicit activity as a potential cause, ending speculation by a local fire chief that the gardens that plague federal land could be to blame. Jerry Snyder of the U.S. Forest Service said that the steep and inaccessible canyon where the Rim Fire started Aug. 17 in the Stanislaus National Forest doesn’t have a water source that growers look for when they set up remote gardens. “The lead investigator says there’s no evidence of any type of grow in the area where the fire started,” Snyder said. Snyder also said lightning isn’t to blame. It could take months for investigators to determine what ignited the blaze that has consumed more than 370 square miles of Sierra Nevada forests. The fire is 80 percent contained, and crews don’t expect full containment before Sept. 20. The far-off date is because the portion of the fire burning in Yosemite National Park is headed toward granite outcroppings that will act as a natural firebreak but won’t be classified as technical containment. Letting geological formations help will allow firefighters to focus some efforts inside the fire’s footprint. Snyder said they have begun to cut breaks and start backfires in an effort to save grazing land, wildlife habitat and historic buildings left over from early timber camps. “We don’t want the entire interior to be burned too,” he said. The 21,400-acre, lightning-caused Douglas Complex fires are burning seven miles north of Glendale in Douglas County, and are 5 percent contained. The Douglas Complex is now the highest priority nationally for resources.